We must Acknowledge the popular maxim “all work and no play makes Jack a dull boy,” My lords, this dullness doesn’t apply to Jack singularly but to everyone—especially students who exercise a constant grip on their studies, books and unrecognized personal struggles. Social functions command, almost exactly, the duties relief lubricants dispels on mechanical joints. The University is an aggressive hub of untold stress and attending social events is one such of an avenue to let off the steam of academic weariness and physical rigour altogether. The University of Ilorin is characterized with an epic struggle in achieving all simple processes—boarding a cab at the park, entering the class room, buying folders at the department office or printing your papers at the Cafe operator’s space, etcetera. Picnics in the University of Ilorin is organized by all departments, faculties and religious bodies whose motives tow in its belief. Although not for free, it is made available for access at very affordable rates mostly from 200-500 in the most conducive spaces of the [luxury] social institues around. Flavoured by games, dance, music and light food. The picnic is a form of Get-together medium for freshers and staylites alike. It creates a kind of relaxed atmosphere apart the usual chaotic climate in the school ground. This, evidently help students to relate better,network, connect—or reconnect and to [re]kindle mutual interests. Furthermore, it aids a balanced social life in case of many students who do not consider it necessary to explore their social flexibilities on grounds of bulky school work, their introvert nature, the phobia for the indecent things that comes to birth at party grounds. Moreover, Everything done at the picnic is under the adequate censorship of the associational or departmental leadership which therefor quells all sort of fear that might be generated thus. And, if frivolity is what most parents or guardian or moralists will label as their fear, students who will engage in frivolity will regardless of the picnic. So, why do we name the dog evil to kill it? Being a person equipped with firsthand experience and understanding of this going, there is no sign of lavish spending but a simple arrangement of chairs—which is mostly collapsible for the interest of dance, an active disc jockey dishing out trending music, moderate drinks and item7. What else? My lords, I hope I have successfully demonstrated how the picnic is not abominable in this sacred law sanctity. Taking a wild guess, I want to believe what counsel from the other side would premise his position on is “all work and no play”, which my Lords, I’ll build the core of my opposition on. My lords, I was bewildered when the Students’ Union General Secretary, Mr. Kayode (Energy) announced that the University of Ilorin hosts 156 departmental Picnics, 15 faculty Picnics, 50 indigenous association Picnics and 50 religious association Picnics for Freshmen of the University. That’s an outrageous 271 Picnics and Welcome parties in a session. Any person with an iota of reasonableness should be bewildered at the lavish culture we have adopted in the name of wanting to play while you work. Most of these Picnics M’lords are spread over long period of time such that it becomes an almost impossibility to not continously have fun as freshmen of the University. I ask M’lords, is this still the purpose of academics? To go on and on about senseless welcome parties that lead to more vices in our society. Permit me to take away morality from this discourse for a moment, but isn’t this outrageous waste of time, money, and resources supposed to be a point of general concern to us? How many of these bodies responsible for raising and throwing money around are available to help students raise tuition, take constant tutorials, develop themselves professionally, build career path outside of Classroom while equally excelling in academics? While counsel for the other side would argue that the Universitry of Ilorin environment is harsh already; yes I quite agree. But is that cause for us to develop spendthrift cultures that inhibit our collective growth? Why can’t these bodies limit their celebrations to end of session dinners and cultural nights? I might seem like an enemy of Social events, but the reality we are faced with indicates only one thing; we are developing a league of young men and women whose development would be tied to constant partying fuelled by a psychological need to be extravagant in spending, courtesy of a University that is supposed to mould them. Is this the future we are making? I hereby submit my Lord, that the University authority should look into this unnecessary display of wastage, and direct student bodies to focus on more people focused programs, instead of feeding them excessive sugar that flattens their level of reasoning. CONCLUSION: This column is about you, it presents the two sides of a case courtesy of two writers from different schools of thought. “Audi alterampartem” means hear the other side before passing your judgment. 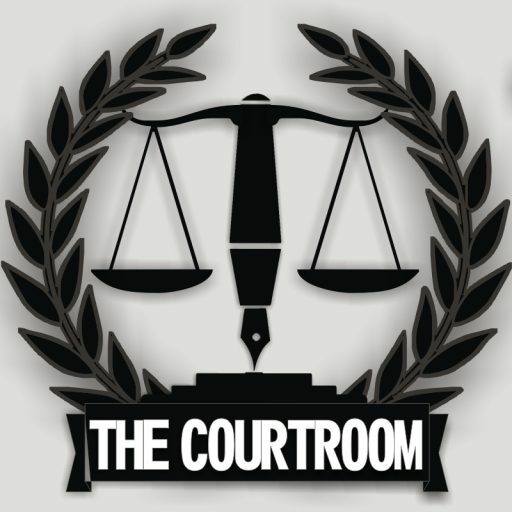 Take the gavel, make your decision and slam because you are the judge in this courtroom. Freshers' Picnics: Unnecessary Medium of Exaggerated Spending and Excuse for Frivolity? No; let people have fun. Yes; it is unwise spending.